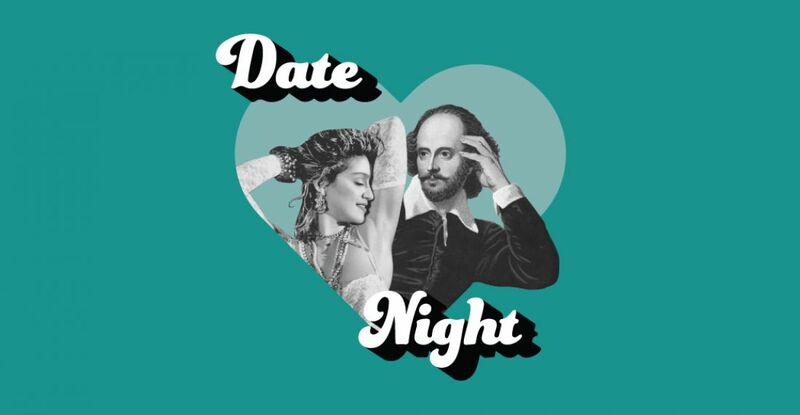 Date Night is back this Valentine's Day by popular demand after its wildly successful 2018 debut! This free event on Thursday 14 February turns Wagga Wagga's Art Gallery, Library, Museum and Civic Theatre into an entrancing night time playground with pop up performances and wine bars throughout the Civic Centre precinct. It is the perfect evening for revellers and romantics, and concludes with a sunset screening of cinema classic When Harry Met Sally, out the front of the Civic Theatre. Date Night is a FREE Event presented with love by Wagga Wagga City Council. Enjoy the latest exhibitions, live music, or a romantic rendezvous. Drinks will be available for purchase in the Museum and Civic Arcade, including local brews from Thirsty Crow, our official Date Night beer supplier. Gaze at alluring strangers in the Library and join Dr. Fun and Mrs. Cole to play some Love Puzzles of a bygone era, reimagined for the modern world as they celebrate E. W. Cole – the Australian inventor of the lonely hearts ad. At the Museum, help our two star-crossed robot lovers to navigate the many twists and turns of romance and reunite in the maze of love. Bowl a maiden over on our cricket pitch, part of Wazza: A Local Legend, or impress your lover with quirky facts about our region’s history while you browse STEAM the Museum. Browse the Art Gallery Shop then head downstairs for an eclectic mix of lazy beats as you browse the latest exhibitions hand-in hand. With works by Ruth Cummins and Sarah McEwan on display, as well as the National Contemporary Jewellery Award. Don’t forget to pop into the National Art Glass Gallery, or to stop and see the installation in The Point by Wiradjuri artist Lorraine Tye. In the Civic Arcade, make a request (now or on the night) from DJ Engelbert, in Love Song Requests, a live 'radio' show with, surprise guests and you sharing stories of love and heartbreak as we work together to make Wagga's finest playlist. If there's no lover catching your eye, the six brightly-coloured shipping containers might just lure you across Tarcutta Street for a peek at Container — The box that changed the world, a free outdoor exhibition next to the Wagga Wagga Visitor Information Centre. Bring a rug, and someone to snuggle with down to the Wollundry Lagoon for a balmy outdoor screening of cinema classic When Harry Met Sally (rated M). Bring a picnic, or avail yourself of the on-site food vendors (info below). This film screening is strictly BYO alcohol. As the sun goes down, enjoy a brand-new projection on the Civic Centre – re/app. We asked the youth of Wagga to meme their city. This is their response. re/app is a Public Art project of Wagga Wagga City Council that provides creative training and opportunities for local young people. This sunset screening is presented by the Wagga Wagga Civic Theatre. Throughout the evening, locally-sourced beers and wines will be available for purchase at bars located in the Civic Centre Arcade and Museum. Alcohol service is not available for the outdoor film screening, so please BYO if you're looking to enjoy a drink during the movie. Alongside the lagoon, grab a bite from Smoking Butcher, fresh coffee and delectable treats from Lucid - The Kombi Cafe, or perhaps cool down with a gourmet ice pop from What The Pop. Popcorn will be available for purchase at the Civic Theatre. Special thanks to our official Date Night beer supplier, Thirsty Crow.